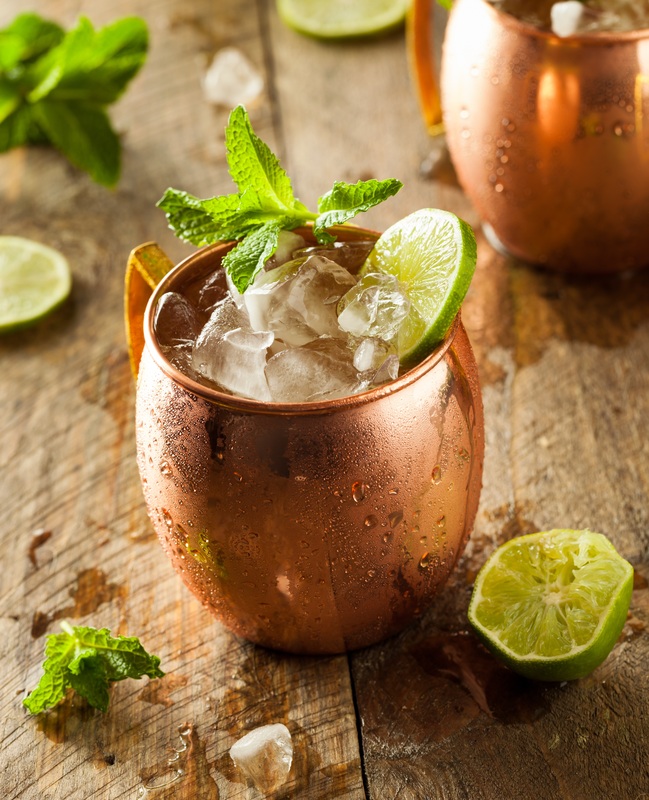 Take a chilled copper mug (or highball glass as an alternative) and fill three quarters with ice. Pour freshly squeezed lime juice and vodka over ice. Top of with ginger beer and garnish with lime wedge. As an alternative, garnish with 3 or 4 mint leaves – lightly crushed between finger tips if you really want to bring out the flavor of the mint, and drop in the top of the drink.